Thank you for giving Elisha Gray the publicity he deserves. As an Oberlin faculty member and organologist (sci. 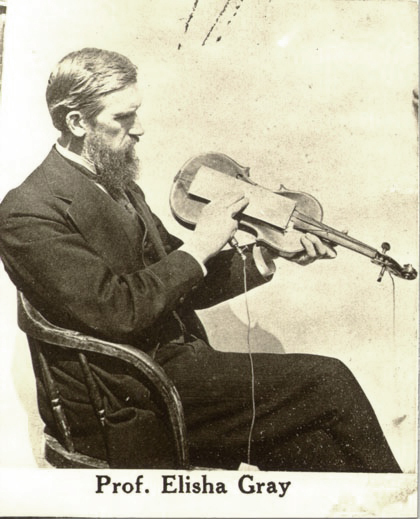 of musical instruments), I am especially appreciative of his Musical Telegraph. Can the item be seen somewhere? The two octave transmitter is at the Smithsonian Institute. This website was my introduction to Elisha Gray and his musical accomplishments, and for this I am most grateful. It is rich in content, but unfortunately it also contains a number of errors. In the past year I have done extensive research on Gray, including his holdings at the Smithsonian. I would like to offer here a list of problems that should ideally be corrected by editing the article itself. If this is not possible, perhaps my list may stand here as an Errata Sheet for the article. -The washbasin receiver is from 1874, not 1847. -(In the caption for the patent drawings) The tines do not vibrate electronically, but electromechanically, by electromagnets. -The side view patent drawing is Fig. 2 (cut off from the top of the graphic). Fig. 3 refers to the back view, below it. -The citations for the various newspaper articles, are very much mixed up. I can provide the details if the web content itself can be altered. 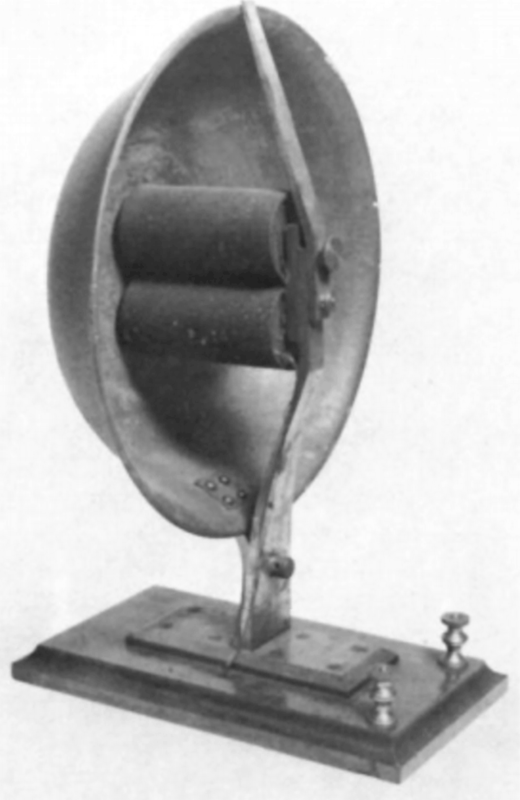 -It should be noted for clarity that the one-octave transmitter built in 1874 and shown in the b&w photo is lacking its left-most electromagnet. There should be eight. -In the caption for the two-octave keyboard (color photo), it should state that it is held (as are all of the items pictured) at the Smithsonian Institution (not ‘Institute’). 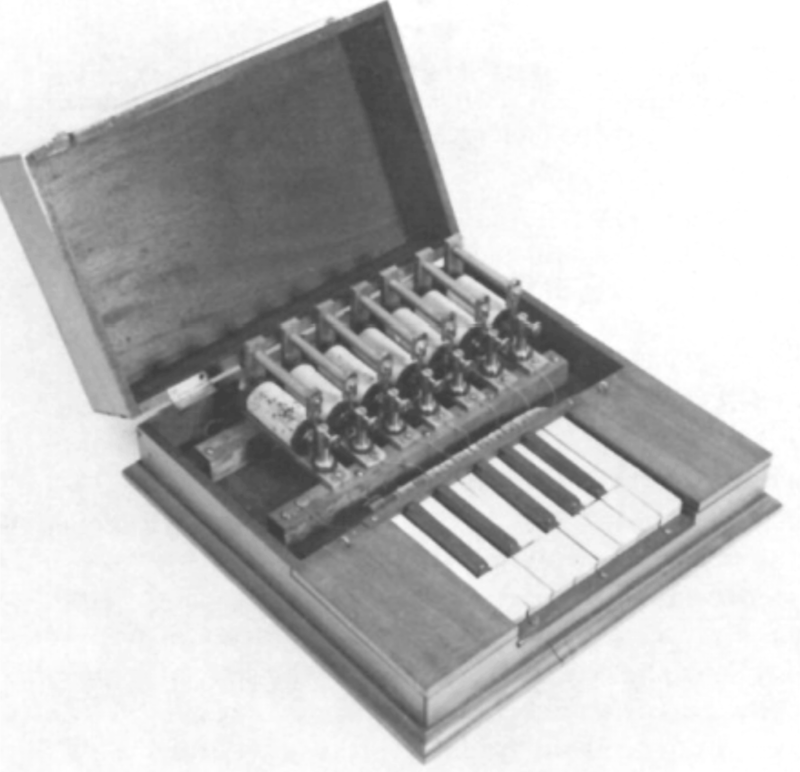 -Cahill’s Telharmonium was introduced in 1897, not 1879. 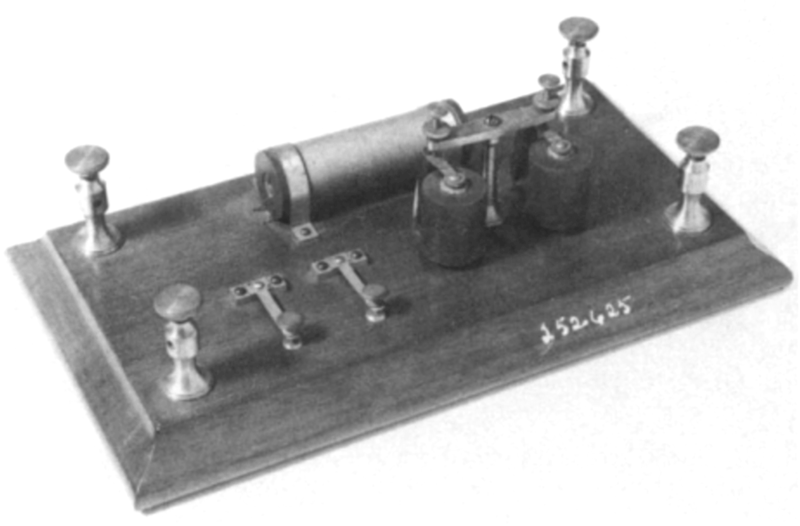 What if I want to use the image of musical telegraph in my book? Surely, the image is copyrighted, is it not? Where can I get permission to use it? Thanks. This is Pyungho Kim again. I should have said ‘Elisha Gray’s two octave keyboard transmitter’ Please inform me of copyright issue of using the image of transmitter. Thanks.